Taipei, May 3, 2018—Advantech Co, Ltd. (2395.TW), a global leader in IoT Intelligent systems, embedded computing, and UHD 4K/8K video processing solutions, is proud to announce that the company has successfully helped one of the largest online video sites in China implement 4K live broadcasting and is allowing it to extend their applications to support the latest 360 degree VR broadcasting initiatives. This online video site is currently one of the largest in China, with nearly 6 billion hours spent on its service each month, and over 500 million monthly active users. They recently used the Advantech VEGA-6301 compact 4K/UHD live HEVC encoder platform to broadcast its “Scream Night & Music Festival” program successfully, and Advantech is currently working with them to extend their use case to support Live 360 VR streaming for worldwide customers. “Scream Night & Music Festival” is an annual entertainment event held in Beijing, featuring artistes, singers, network dramas, variety shows, gold songs, and recognitions for individuals, production teams, drama series, variety shows, and music were awarded at the event. Hundreds of entertainment industry stars, guests and 10,000 fans were on hand to watch the entertainment events and witness the birth of the 2018 Scream Night Honor Roll. The live event was also streamed online in 4K/UHD, and the Advantech VEGA-6301 played an important role in encoding live footage on the spot and streaming back to the media cloud for distribution. Advantech VEGA video solutions are developed to enable industry players to build their equipment on the latest standards and support the cutting-edge technology of real-time IP video in the video creation environment. “We are committed to allowing system integrators and OEMs to adopt the most appropriate technology in flexible form factors to deliver high-definition live video content,” said Ted Feng, Senior Manager of video appliance product lines. 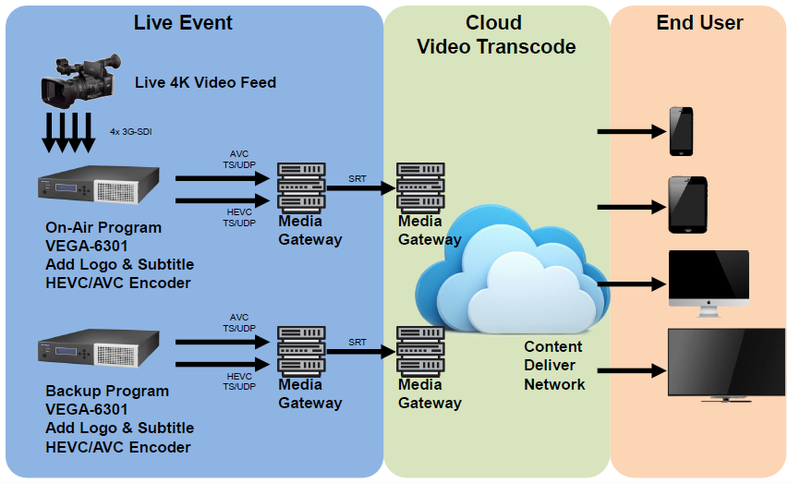 “To that end, we have successfully integrated a range of encoding and streaming media technologies into a single small, low-power video appliance that can effectively distribute and deliver high-quality 4K/UHD contribution content." The VEGA-6000 series of compact appliances raise the bar on 4K/UHD HEVC video processing performance, with the current generation VEGA-6301 cramming professional video acquisition and capture interfaces, optional Video over IP terminations, a real-time 4Kp60 10bit 4:2:2 HEVC encoder, and a full capability Intel Core series processing host into a half rack-width, short depth enclosure. The small form factor coupled with low power dissipation makes it ideal for use in live events and broadcast equipment vans. A firmware upgrade option will later enable live Video over IP capture and playout, allowing users to support standards like SMPTE ST2022-6, and AIMS/VSF recommendations such as SMPTE ST2110. 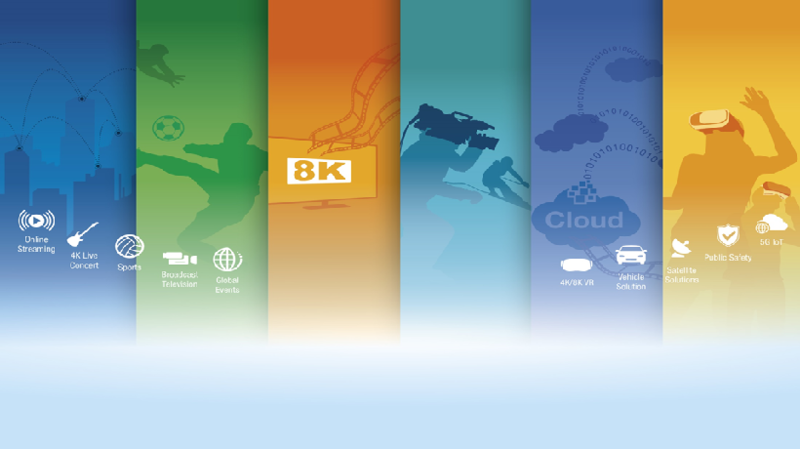 Compressed video can be streamed over a redundant Gigabit Ethernet connection or a USB connected wireless access dongle. The VEGA-6301 only consumes around 80W power and features a front panel LCD display and control for additional configuration or user interaction. High-quality live video transmission is used for real-time applications such as news gathering, and streaming sports and art performances. In addition to broadcasting, it can also be applied to medical, surveillance, transportation and other professional fields. Advantech's VEGA video processing products are designed to boost video infrastructure equipment performance at the lowest power budget while fully complying with broadcast industry needs. By allowing OEMs to take advantage of the latest processing technologies including 4K/UHD HEVC encoding we facilitate the deployment of new scalable and efficient video solutions. In addition, Advantech's proven expertise in networking and computing solutions together with support for Video over IP technology such as SMPTE-2022 and Sony IP Live enables us to lead innovation in the IP transition of the industry and get our customers ahead of the curve. Advantech's standard product portfolio can be tailored to meet a range of system requirements in terms of functionality, power budget, physical dimensions and cost. Such near-turn-key solutions significantly reduce the time-to-market efforts for our customers.